Explore all the Beauti-Tone interior and exterior colors with our HomeWorks Home Remodeling Software. Whether you're working on your home's exterior, kitchen, hallway, basement, or bathroom, HomeWorks allows you to look at various parts of your home like never before. With a click of your mouse, you can instantly select and view a specific feature of your home. For example, if you want to see your roofing options, just click on the roof, and you will be presented with the various options available to you, be it colors, material, or style. With so many home and room styles to choose from, you can simply pick one that resembles your home, or even upload your own photo. With so much beautiful detail, you can even match your towels to your chosen bathroom decor! And the best part is all these features are available to you for free. 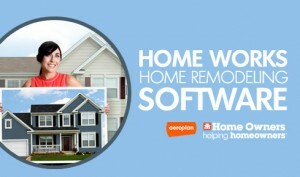 Find out more the HomeWorks Home Remodeling Software today.